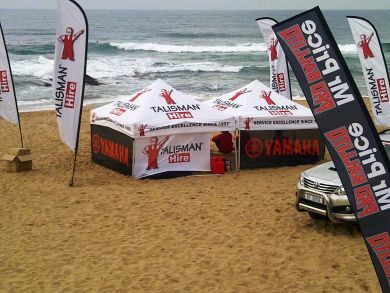 From 1-7 July 2013, Association Member Talisman Hire Ballito, made their way to the beach at dawn to put up gazebo`s, wind breakers and surf competition gear for the Mr Price Pro 2013, surfing competition.This year the event was won by Australian Julian Wilson with Jordy Smith of Cape Town, taking a narrow second. Talisman sponsored the sled that was used by Dolphin Coast Water Patrol and provided Gazebo`s as well as wind breakers to them, which helped ensure a safe and successful occasion. The seven day event included a festival of live bands and entertainment for surfing enthusiasts from around the world. Talisman expressed gratitude to Mr Price for allowing them the opportunity to play a role. "It was a wonderful experience to engage with the general public who got to know our staff and how committed we are to sport development and safety", said Talisman Business Development Manager Jane Foster. If you fully understand how a pesky do-it yourself home improvement job can get totally out of hand and turn your home into the biggest ugliest and tallest wooden monstrosity in all of Russia, your name is probably Nikolai Sutyagin. Nikolai Sutyagin a resident of Arkhangelsk Russia, was once the proud owner of the world's largest single-family wooden home. What started out as a two storey wooden house, ended up as a 144-foot (43.9-meter) homemade skyscraper, the likes of which had never been seen before. Our intrepid Russian spent 15 years adding layer after layer to the top of his house and eventually, it towered over the neighbourhood and could be seen from far and wide. 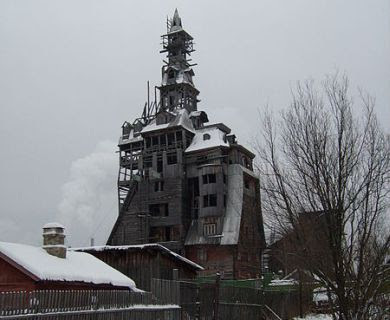 While local building code in Arkhangelsk stipulates that no wooden structure can be higher than two floors, Nikolai wasn't to be deterred as he had a cunning plan to thwart authorities. 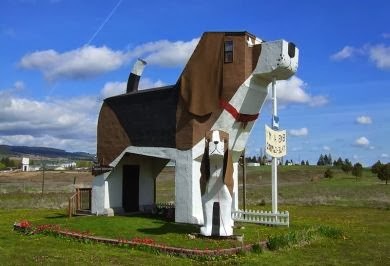 He a built a roof over the second floor and claimed that everything above it was for decorative purposes. Needless to say, the Russian authorities did not entertain it and in 2008, the city of Arkhangelsk declared the house a fire hazard and had it demolished. 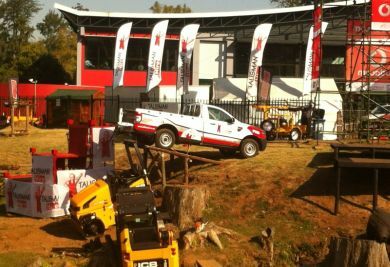 Master Builders KwaZulu-Natal runs a mobile clinic which allows us to conduct medicals onsite. The following health tip is brought to you by themobileclinic.co.za. 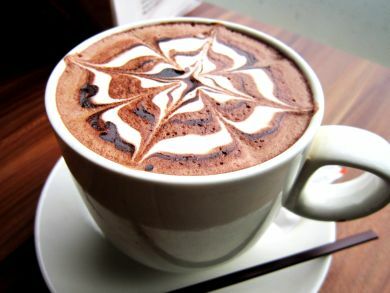 Don’t we all like a nice cup of coffee to start the day with? How much caffeine should be just enough for our health? There is no conclusive evidence to show that caffeine intake is significantly harmful to our health, but there is still some negative effects associated with it. Here are some health facts on the positive and the negative of caffeine intake. Caffeine is a central nervous stimulant and can have some positive effects on the human body. Increased amounts of caffeine lead to dependency due to increased tolerance and hence the need for greater amounts to gain the same stimulatory benefits. 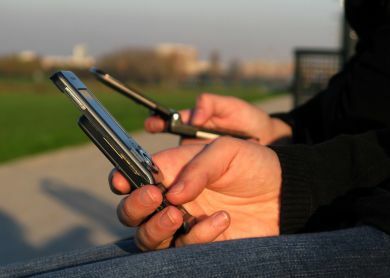 Heavy users who have to go without can experience withdrawal symptoms such as headaches and fatigue. How much is just the “right” amount of caffeine for a day? The Winchester Mystery House is a well-known mansion in Northern California. 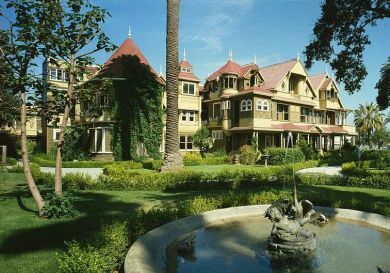 It was once the personal residence of Sarah Winchester, the widow of gun magnate William Wirt Winchester, inventor of the famous Winchester Rifle. The property was continuously under construction for 38 years and is allegedly haunted. 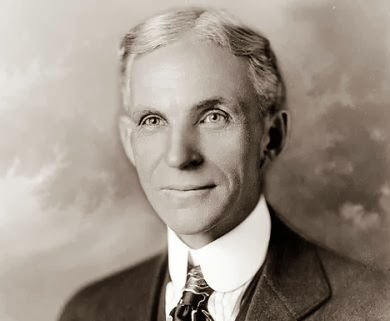 Under Winchester's day-to-day guidance, its "from-the-ground-up" construction proceeded around the clock, without interruption, from 1884 until her death on September 5, 1922, at which time work immediately ceased. The cost for such constant building has been estimated at about US $5.5 million which in 1922, would have been the equivalent of $75 million by today's standards. The Queen Anne Style Victorian mansion is renowned for its size and utter lack of any master building plan. It is popular belief that Ms Winchester considered the house to be possessed by those who had fallen victim to Winchester rifles and that only continuous construction, would appease the ghosts that still supposedly haunt it. I was surfing the net looking for some light-hearted industry related news when I came across this gem on the Huffington Post website, huffingtonpost.com. "Just one week after Bubble Wrap Appreciation Day, a Boston construction worker was saved from a gruesome fate when his 30-foot fall was broken by the stuff, a spokesman for the Boston Fire Department told WCVB. Footage of the scene indicates the lifesaving "bubble wrap," as the spokesman called it, was not the familiar poppable packing material, but an off-white material used to cover scaffolding at the building where the man was working Monday. The 38-year-old, whose name has not been released, landed on a pile of the material on the ground. The fall's impact left him stuck in the bubble wrap, and firefighters had to cut him out. He was checked into a hospital for shoulder and back injuries. Bubble wrap -- in any form -- does a lot of good for this world. Last week, students in New Jersey set a new Guinness World Record for most people simultaneously popping bubble wrap, and, in doing so, raised money for the Sandy Hook Elementary School fund in Newtown, Conn. In December, an Italian artist set out to rid Milan of stress by creating "anti-stress" bubble wrap-popping stations at bus stops." So what thoughts do we take away from this? 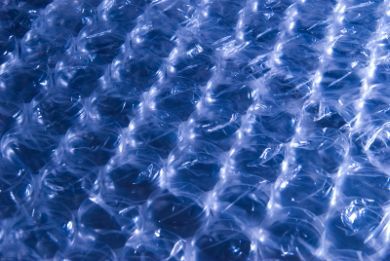 Is there really such a thing as Bubble Wrap Appreciation Day and if so WHY? Can you really get stuck in bubble wrap and if you were to, regardless of the life saving circumstances, would you tell people? "I got stuck in bubble wrap; the fire-fighters had to cut me out". "Bubble wrap -- in any form -- does a lot of good for this world", who is the moron being quoted here? Perhaps he/she doesn't know that the stuff is generally made from non degrading plastic which is manufactured from crude oil. It is horrendously bad for the environment, on so many levels. ”Students in New Jersey set a new Guinness World Record for most people simultaneously popping bubble wrap". That's what students do for fun in New Jersey? Take a leaf from their book UCT! Stress in Italy - who knew? 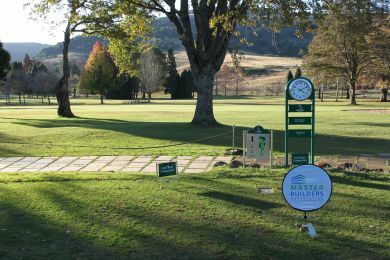 The Master Builders KwaZulu-Natal annual Durban Golf Day is scheduled to take place on Friday 19 July and this year the event will be held at Beachwood Country Club. Albeit that we haven't yet sent out the invites, people have been making inquiries and we have already confirmed six bookings for it. With claim to the coveted Dulux Trophy at stake (see 2012 article), we will no doubt have a full field again this year competing for the honour of holding it up. We are also pleased to be back at Beachwood as it is one of the top courses in Durban, and they are also exceedingly willing to cater to our requirements. To avoid disappointment book early by giving Tanya Leeuw a call on 031 266 7070. Highly intelligent people sometimes do astonishingly dumb things, particularly if there is alcohol involved and in extreme cases such as this one, the net result is a bright future never to be realised. 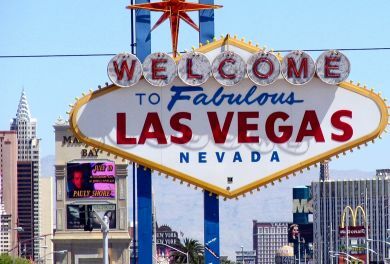 Minutes before midnight on the eve of the millennium, a Stanford graduate climbed to the top of a street light in front of the Paris Las Vegas Hotel in Nevada, and waved to the enthusiastic revellers below. At midnight he slipped and in an effort to break his fall, grabbed the wires that were supplying the electricity to the street light. Suddenly he was conducting more than just the cheering crowd. A camera caught his foolhardy climb and subsequent plunge to the concrete below. Whether he died from electrocution or from the 30-foot fall is unknown, either way, he never got to enjoy his pending wealth. The young graduate was at the time working at a Silicon Valley start-up company scheduled to go public in the summer. He stood to make a substantial profit with his options, until they were voided by his untimely death. Evidently, a sterling academic pedigree is no guarantee of common sense. The Association was established in 1901 and boasts a proud and interesting history. 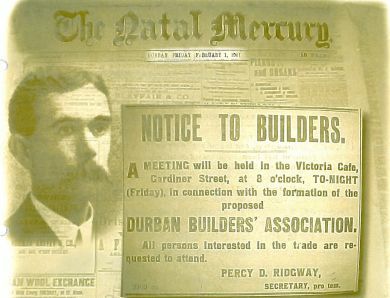 A lot has occurred over the last 112 years and for those who hold a fascination for what came before, it is worth visiting the "About Us "pages on masterbuilders.co.za, where our history is very well documented. It is interesting to note that of our current membership base, there are those that have been with us a very long time. The list below is of our longest serving members. It would appear that in China the strategy to overcome people who refuse to sell property that is required for development purposes is to simply bully them into submission. It does however seem that a small group of people have emerged who are literally standing their ground and in spite of bizarre and noisy happenings going on around them, they remain strong-willed. These property owners are known as "Nail Householders" referring to a stubborn nail that is difficult to remove from old wood. Rather than allowing this to stand in the way of progress, full blown construction surrounds these properties and they are literally left with a house, on a mound, in the centre of a construction site. 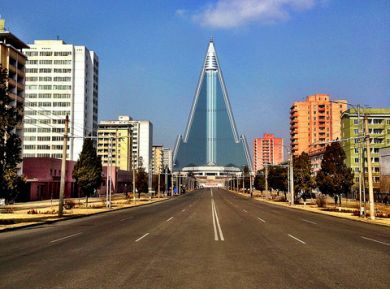 Visually speaking, these nail houses make for a very odd looking spectacle and to further add to the weirdness of it all, in December 2012, reports of a "Nail Grave" began emerging in the media. The city of Taiyuan is home to more than four million people and is considered one of China's great industrial cities. Local inhabitants were paid to move the remains of their loved ones from a local cemetery to make way for a development project. 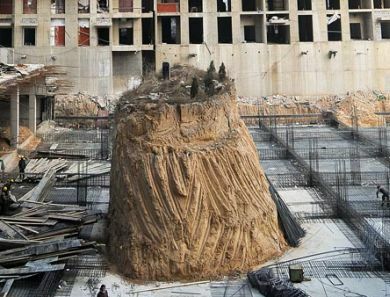 One family refused and a sole grave now remains on a mound of earth, 10 meters up in the sky as construction takes place around it. Asian media outlets reported it to be the latest act of resistance, against land dispossession from Chinese people. 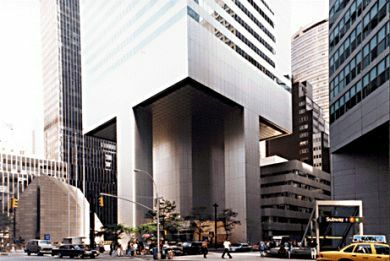 In the early 1970's architect William LeMessurier had a unique obstacle to overcome when planning the construction of New York's Citigroup Center. St. Peter's Lutheran Church occupied the northwest corner of the proposed building site and permission was granted to Citicorp, to demolish the old structure and to go ahead with the skyscraper on condition that a new church was built on the same corner, with no physical connection to the building. The church essentially wanted to remain where they were as a standalone structure. 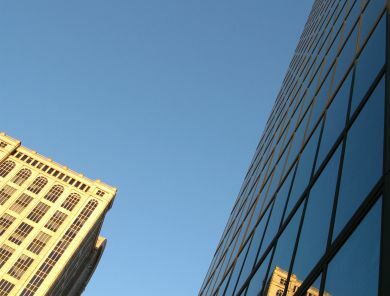 In order to meet this requirement, the skyscraper would somehow have to be suspended in the air. Rather than admitting defeat, LeMessurier opted instead to design an entire building that hung above a quaint little church. The structure had been built on stilts before Engineer Joel Weinstein, determined that quartering winds (winds that strike the corners of the building, rather than the flat faces) would result in far more loading force than initially thought. LeMessurier himself looked into it and discovered that rather than wind joints being welded on, as he had ordered in the design, the plans were instead switched to bolts during the construction phase. With the bolts in place instead of welds, experts predicted that on an average of every 55 years, New York City was hit by a storm that could topple it over. To make matters worse, in the event that the tuned mass damper inside it failed, the average dropped to every 16 years. Amazingly the initial reaction to this discovery was to keep it secret. 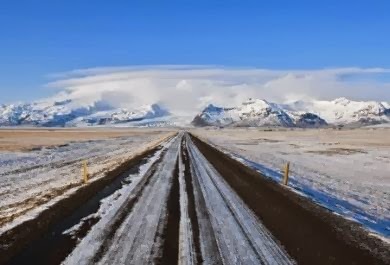 The area was not evacuated at the onset of storms and people weren't warned of impending disaster. Instead, a press release was sent out stating that the building was in no danger at all. 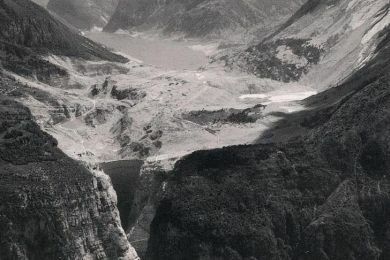 The only action taken which took into account the immediate safety of the public, was a request that the Red Cross create secret emergency procedures in the event of a collapse. In a deadly race against the impending hurricane season, construction workers who only operated at night, again to keep it secret, hastily welded the joints every evening. That year, Hurricane Ella headed right toward New York City and the storm most certainly would have created winds fast enough to topple the building however by a huge stroke of luck, Ella changed course and the building was repaired without incident. 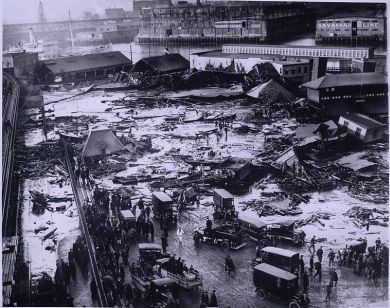 Had the building collapsed, due to the domino effect The Red Cross estimated the death toll at a staggering 200,000 people, with 156 city blocks taking further damage. We recently received an email from a member of the public wanting to know who is responsible for inspecting a building that is under construction. Our exceedingly helpful and knowledgeable Building Services Manager Ross Stembridge, was kind enough to provide the following answer. In addition, the NHBRC will inspect the building on a similar basis to the above however with more emphasis on the structural integrity of the house. This is to ensure that if the Builder is no longer in existence during the latent defect period that an insurance will cover any defects. The inspections on all stages of the building are carried out by the professional/design team that the client engaged on the inception of the project. The local authority will approve the plans however they won’t carry out inspection unless requested to do so. On completion of the building, the local authority will request all the relevant certificates from the professionals and if all is in order will issue the completion certificate. The John Hancock Centre stands as the tallest building in Boston USA however after its completion in 1976, it became the subject of severe media criticism, when it became evident that building liked to drop windows onto the pavement below it. The windows in question weren't of the small variety, they were as one pundit described it, 5-by-12-foot, 500-pound slabs of aerial death. Sadly it wasn't just a few of them, hundreds and hundreds of windows went hurtling to the streets below. The problem got so bad that whenever winds exceeded 45 miles an hour, police would close off the entire area around the building for public safety. During one windstorm in January of 1973, over 60 windows were knocked loose from the building's facade. 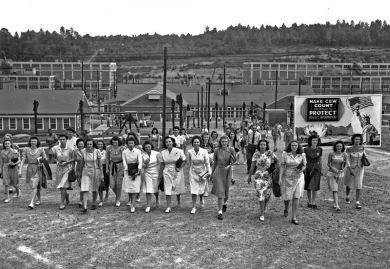 By April of that year, more than an acre of the building's exterior was covered in plywood boards where windows once stood. They initially painted the plywood black, however this effort to hide the severity of the situation proved wholly ineffective. 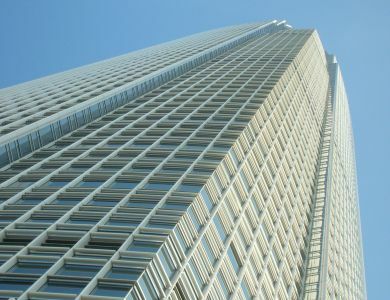 In the end, the issue was resolved by replacing all 10344 windows of the 60 story skyscraper at a cost of $7 million, an astronomical amount of money, by 1976 standards. 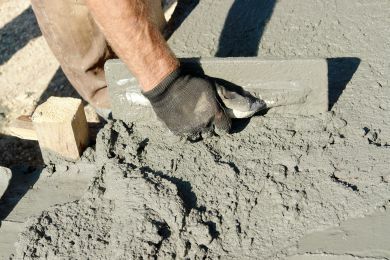 Master Builders KwaZulu-Natal, Private Project’s allows YOU to submit details of any private construction projects online. Whether it is to add on that extra room or convert your outbuildings into a granny flat, or maybe you're all set to build your dream home. Register on the Master Builders KwaZulu-Natal and load the project details, a list of all open projects is regularly emailed and is available online to Association Members only. 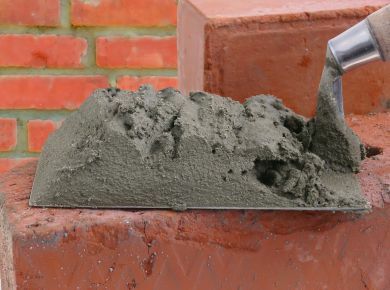 This will save you time and money by having the contractors, who are available to work on your project, contact you directly either to quote or request more information. Once you are satisfied with the quotations you have received you can request that the project is closed. 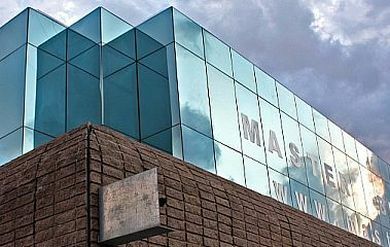 For more information visit our Private Projects Page on masterbuilders.co.za. Your dishwasher – Fill your dishwasher completely before operation. Partial loads waste electricity and water. Your refrigerator – Do not overload your fridge, excessive products in your fridge will lower the quality of food and use more electricity-as much as 10-20% more for each extra product. Your microwave - Defrost your food in the refrigerator overnight instead of the microwave oven: it is more economical. Your lights – with the correct lighting you will save energy, money and eye strain by lighting your home properly. The wattage of a bulb is not a measure of the amount of light it gives, but rather the energy it uses. For instance, a 100watt bulb gives 50% more light than four 25 watt bulbs. Fluorescent lights give five times the light and last up to 10 times as long as ordinary bulbs. Your Air conditioning – set your air conditioning unit to re-circulate cool air instead of drawing in warmer outside air. Protect the outdoor cooling units from the sun. 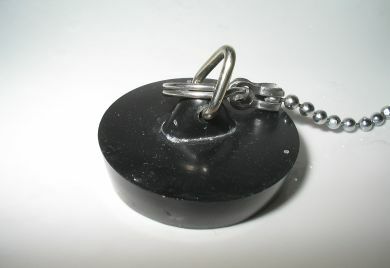 Place them on the South or shady side of your house. Your Washing machine – the automatic washing machine uses the same amount of electricity for a full load as it consumes for a single item. Save dirty clothes until a full load has accumulated. Your iron consumes as much energy as ten 100 watt light bulbs. Iron low temperature garments first to reduce warm up time, iron large batches of clothing at one time to avoid wasting energy reheating the iron several times. Your geyser – to optimize electricity efficiency, geysers should be located as close as possible to the points where hot water is being used, insulated hot water pipes maintain their temperature at constant levels and prevent heat loss. Read Article on how to further save on electricity. Due to the circumstances surrounding the bizarre death of the former Toronto based lawyer, the name Garry Hoy has become synonymous with the term "famous last words". Mr Hoy will always be remembered for his renowned party trick which was launching himself up against the "unbreakable" glass windows in the boardroom of the law firm where in life he was employed. While attending a reception for new articling students, Hoy plunged 24 stories into the courtyard below confirming a notion most of us have always subscribed to. 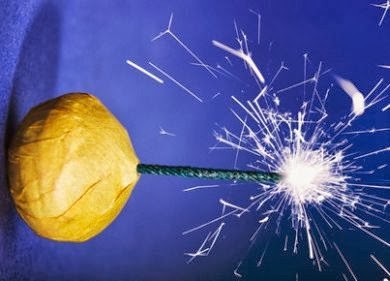 If an item is supposedly unbreakable, it doesn't mean it won't break, what it suggests is that it may take a bit longer. As a well-educated postgraduate and a former professional engineer you would have expected Hoy to know this. According to co-workers, he would often do this stunt to impress visitors but would normally bounce harmlessly off the glass. His fatal plunge occurred during his second performance of the day. 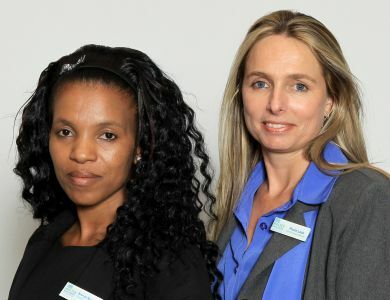 Our area offices in Durban, Midlands, South Coast and Zululand all host a member meeting every second month and members are invited to attend. This is a fantastic opportunity to market the services of your company or your products to a target audience. Our Health and Safety department provides a fantastic forum meeting every second month where members are informed of new legislation and any other pertinent information regarding OHS. 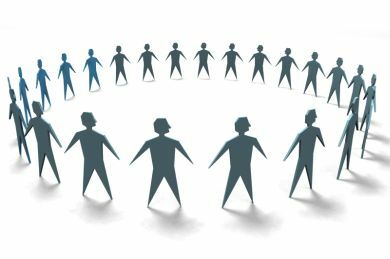 Every meeting enjoys the benefit of hearing not only from our own Health and Safety professionals but from other people who are also highly respected in the industry. If you have products or services specifically aimed at Health and Safety practitioners and would like an avenue with which to market them, this represents a great opportunity for you. For more information, contact me on 031 266 7070 and let's chat.